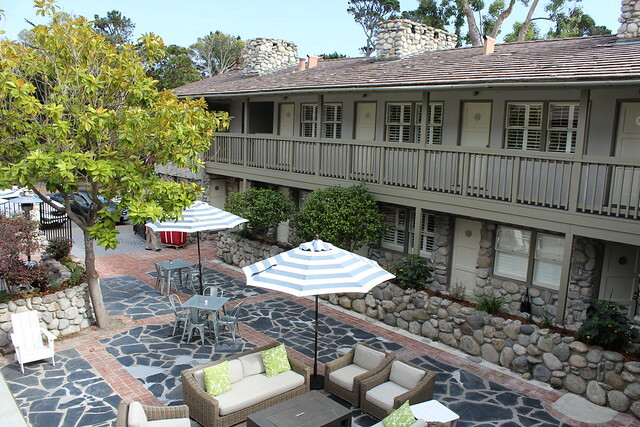 Carmel-by-the-Sea is far from just a couple’s destination! 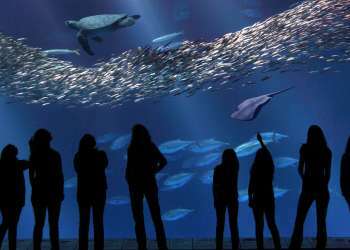 Grab your closest friends and set out for an unforgettable adventure in this charming beach town complete with wine tasting, fine dining, spa treatments and boutique shopping. The sights and sounds of these quaint quarters are sure to have you reconnecting in no time! 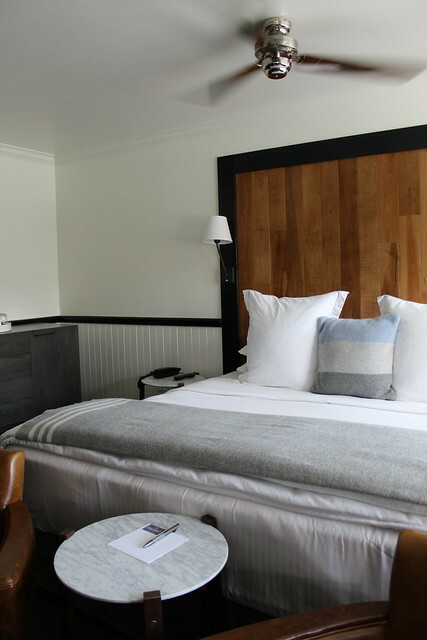 Start off your gal pal adventure by checking into one of the newest additions to Carmel, The Hideaway. This sleek and contemporary hotel is more than just a place to rest your head. The renovated boutique inn offers up an inclusive breakfast, complimentary bicycles and a nightly Happy Hour serving up a robust selection of appetizers, homemade cookies and wine! 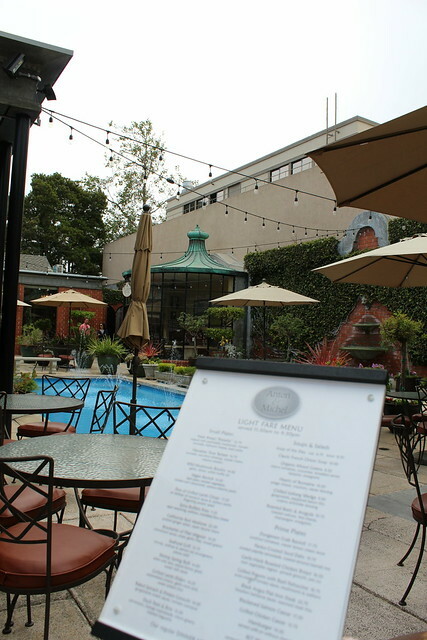 After you settle into your luxurious rooms, take a stroll through Carmel’s iconic Ocean Avenue. Here you can shop at the ultra-plush Carmel Plaza, gawk at one-of-a-kind art galleries and wine taste to your heart’s desire at one of the many tasting rooms tucked away along Carmel’s side streets. 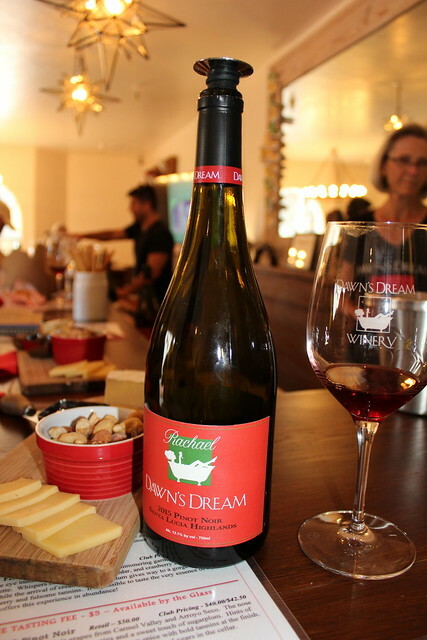 Be sure to stop by Dawn’s Dream tasting room at 7th & Carlos to wine taste for a cause. Not only is this tasting room a girl’s dream complete with high-heel wine holders and a bathtub for photo opps, but a portion of the proceeds go to benefit women and children’s programs. 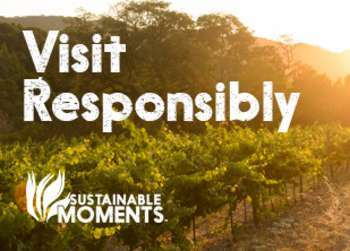 Serious wine tasters can also purchase the Carmel Wine Walk Passport with access to over a dozen tasting rooms within a 1 mile radius. All of that wine tasting is sure to have worked up an appetite. Make a reservation at one of the many award-winning restaurants with tastes to please any palate. The Mediterranean Restaurant is perfect for those looking for a lively feast, while Anton & Michel is great for those looking to dress it up for a night of sophistication. 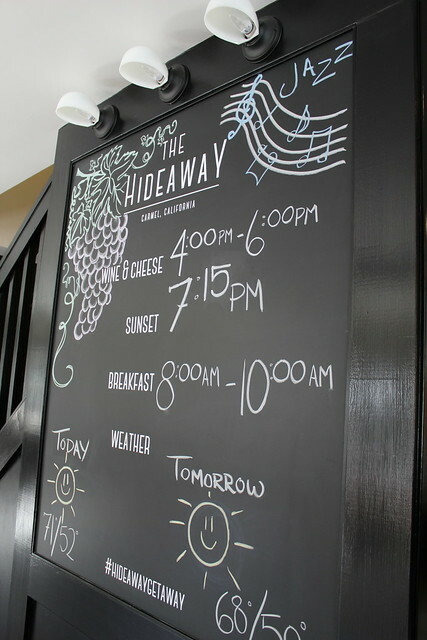 Before hitting the hay grab a bottle of wine and cozy up back at The Hideaway. Their kick back outdoor seating area is perfect for jabbing around the fire pit or choose to linger around their lobby area for a quick board game. Sleep in to your heart’s content before indulging in The Hideaway’s complimentary breakfast. Come hungry, this buffet offer much more than just your average Costco muffins. Round out your girlfriend getaway with a stop at the Cocoa Spa. 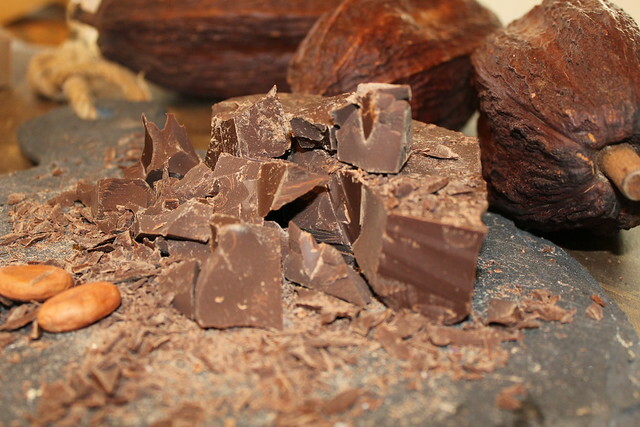 This tucked away gem is a chocolate lover’s paradise complete with a plethora of homemade chocolates as well as facials and massages utilizing the power of cocoa. 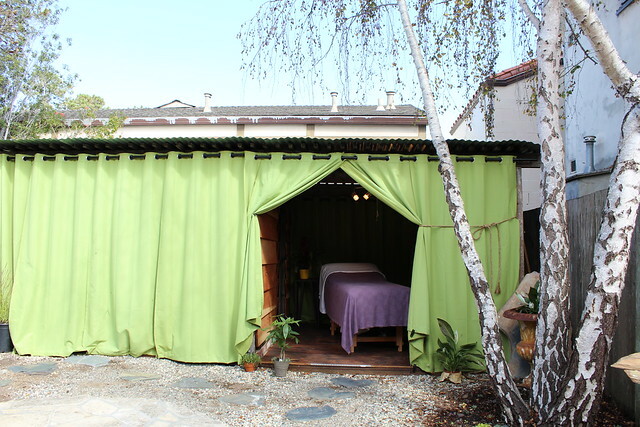 There outdoor bungalow will make you feel as though you are in a private Big Sur retreat sure to release any lingering tension. 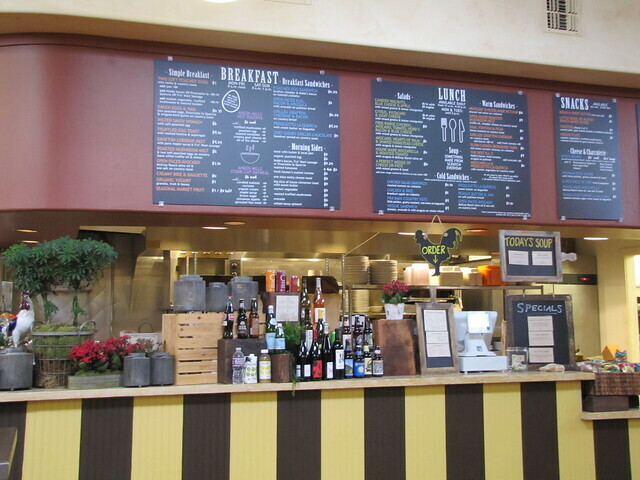 Grab lunch to-go from Carmel Belle and head to Carmel Beach! Enjoy the white sandy beach, crashing waves and frolicking four-legged friends before your visit comes to an end.